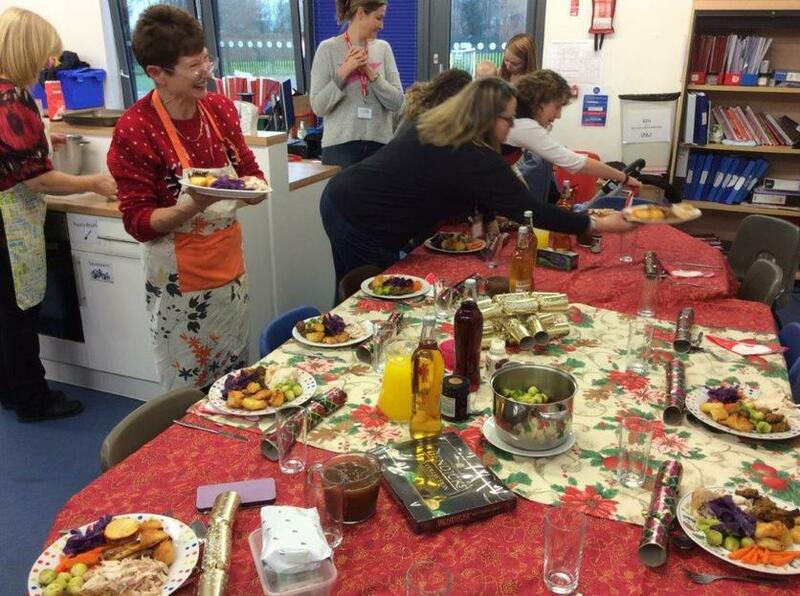 On Wednesday, 6th December 2017 Oakley School once again hosted a very successful Parent/Carer Lunch Club. 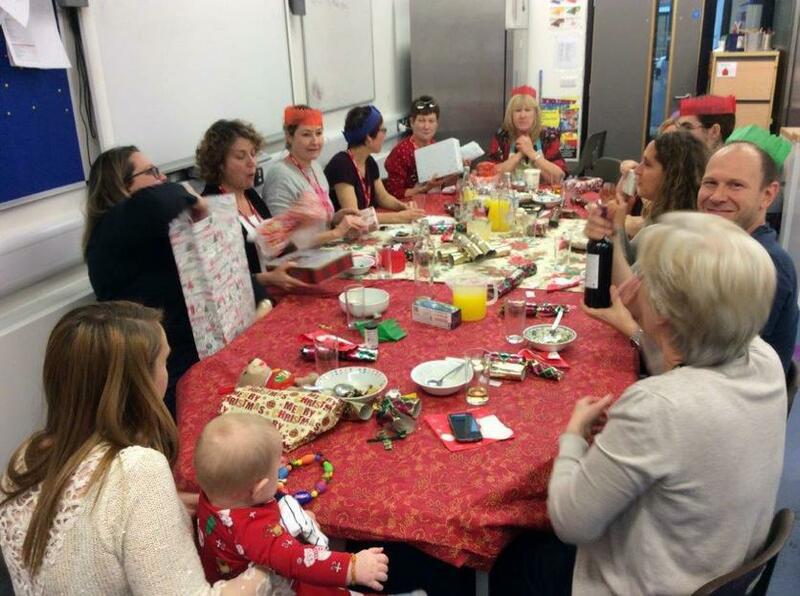 This was our Christmas gathering in which a group of parents and a governor all helped prepare, dish up and eat an exceptional meal. 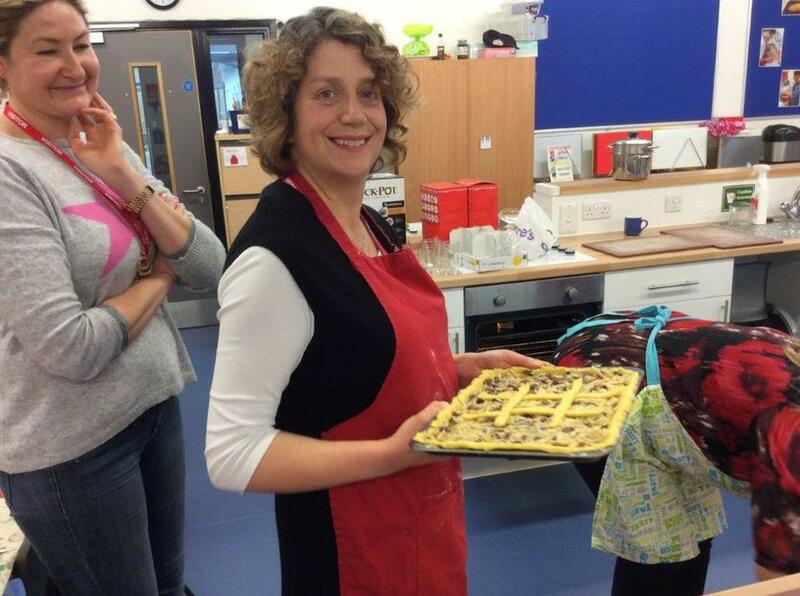 Donna Blunt our parent volunteer had sourced all the ingredients; there were 3 chickens, roast potatoes, an abundance of healthy veg and delicious gravy, all this was followed by a mincemeat tart and Christmas pudding, covered in a choice of custard, crème fraiche or cream!! The atmosphere was lovely with chatter, laughter, festive music in the background and just a few flushed faces...after all there were a number of ovens on! !